I’m so thankful for the opportunity to share my maps with you all! 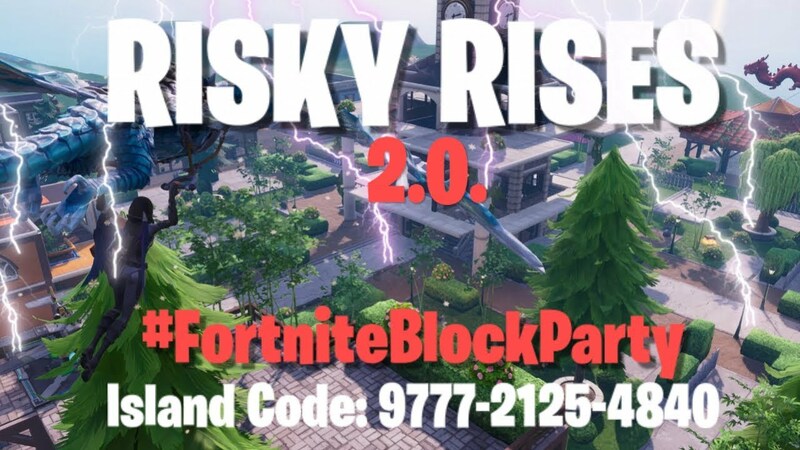 Risky Rises again with this large community moving into The Block! Featuring 11 Colourful, Unique drops with easy callouts, like The Clocktower, Gardens, Book Store, Coffee Shop, Dragon, Noms, colourful modern houses and more!. All under 50,000 memory for the #FortniteBlockParty! To keep it under 50,000 memory, many buildings have less items than I would like currently, but I’m working on optimising the space further to fill out the buildings with more items. The community is still moving in! ???? I’ll have a gameplay video and more updates and a new map coming to Youtube @DizeiGaming soon!